The new home of Luton Town Football Club could still be on Power Court or by Venue 360– despite the council allocating land off M1 J10a for a new 15,000 seater stadium. In a new local plan for the town 2.5 hectares of land between the motorway and Stockwood Park Golf Club has been designated for a new ground, which would be accompanied with an enabling development that would “not adversely affect the regeneration of Luton town centre”. The plan, which is set to go to public consultation, states that this would move the club away from “a dense and congested part of the town to a more sustainable location”. However club chief executive Gary Sweet has cast doubt over the suitability of J10a, previously telling the council that there is “no evidence” that the site is the most appropriate location for a new stadium and that the 0.3 hectare allocation for an enabling development is “simply inadequate”. 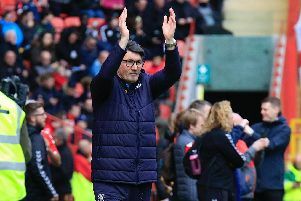 Speaking exclusively to the Luton News yesterday, Mr Sweet said that fans will be told of the club’s preferred location after the new football season has kicked off next month. Plans to relocate Luton Town FC to J10a have kicked around for more than a decade. Former owner Mike Watson-Challis and his wife Sheila, who both poured millions into the club, purchased the site as new home for the Hatters. Four years after Mr Watson-Challis’ retirement in 2003 the pair opposed plans for the club to move to junction 12, but concrete proposals to move to J10a never came to fruition. The Luton News understands that the Watson-Challis’s still own the J10a site designated in LBC’s local plan. Mr Sweet’s reticence to agree with the council’s allocation increases the possibility that the club’s new home will either be situated at Power Court or behind Venue 360 on Gipsy Lane?. The latter site has been mooted due to its close proximity with Luton Airport Parkway and the town centre, while Power Court, off St Mary’s Road, is now finally being cleared after sitting dormant for years. Owners British Land remain tight-lipped on Power Court’s future but LBC’s new local plan sets the 7 hectare site aside for an extension of the “primary shopping area to improve the town centre retail offer” and up to 600 homes. However deputy council leader Sian Timoney has told that Luton News that the allocations in the local plan are not set in stone. She said: “The local plan is the ideal world scenario, everywhere has got to have a place and this is a blue print for the town. “We think the club would work there (J10a) as there are access routes for people travelling to and from the motorway, it is also just up the road from the airport. “The club has never been 100% convinced it is the right place so it has been looking at a number of sites at the same time. “(The allocation) does not close them off from going to another site, if they put in an application somewhere else we will look at that. In April Hatters chief executive Gary Sweet told fans that the stadium project had passed an “important milestone” and that the club had entered into the formal pre-application stage with the council. The announcement left supporters hopeful of a move that has been decades in the making and Cllr Timoney has intimated that the Hatters are as close as they have ever been to a new home. She said: “(The owners) are in a completely different place, even from a few years ago. “They are much more business-like (over previous owners), they have a plan and backers.